Yes, we all know by now that there is an app for everything. You have an app to track your steps and your calories. You have an app to read books. You have an app to help you sleep and another to wake you up. You have apps that can play any song for you, let you read any book, or find the answer to any question. You can literally get a ride to anywhere you want to go, right now, without pulling out your wallet. But, do you have apps that help you get closer to a saving goal or retirement? It’s time to hit the app store and grab a few of what I believe are the best investing apps to help you save and grow your money. Whether it is automation, tracking, information, or budgeting that you are looking for, this list will point you in the right direction. Wealthfront and Betterment both fall into the category of robo advisors, or automated investment firms that will manage your money for you. These platforms offer diversified portfolios to match your life stage and investing goals and take advantage of beneficial strategies like tax-loss harvesting and automated portfolio rebalancing. The algorithms behind Wealthfront and Betterment are complex, but the bottom line is not. They will allow you to invest as if you have a high-paid broker, but with lower fees and very minimal thought or management on your part. For more information, check out my Wealthfront review or my Betterment review that I’ve written in past months. 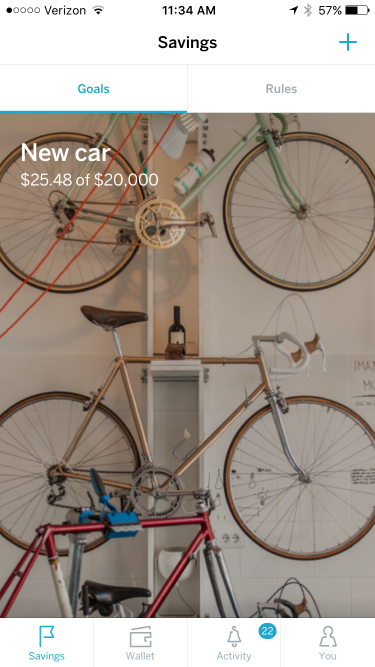 Think of Lending Club like Uber for loaning money to people…sort of. Lending Club is a peer-to-peer lending service that allows you to fund a portion of a loan that another user of the site is taking out. You lend a portion of the money, the borrower gets their loan funded, then as they pay that loan back, you receive your initial loan amount plus interest back in installments over time. With solid returns and low minimums, Lending Club is a great option to start diversifying your investing portfolio. Check out my full review of Lending Club or get started here and receive a $25 bonus when you start investing. While some of these applications for growing your money are great planning for the future or investing for you, Mint is a great tool for looking back at where you have been. I personally use Mint to set up budgets for each month in about fifteen different categories, then track them over the course of the month to see how I’m doing. It is a completely free service and will integrate with all of your accounts so that you get a (close to) real time view of your net worth, spending and savings. Acorns is basically a giant change jar that gets funded and invested for you. The application tracks your spending with credit or debit cards, then “rounds up” the purchases to the next dollar and funds your account with the difference. The account keeps accruing as long as you are spending on your card. Acorns then takes your funds and invests them in a diversified portfolio based on your risk tolerance. There is a $1 fee per month for management, but as your account grows over time, this fee is only a small percentage of your account. 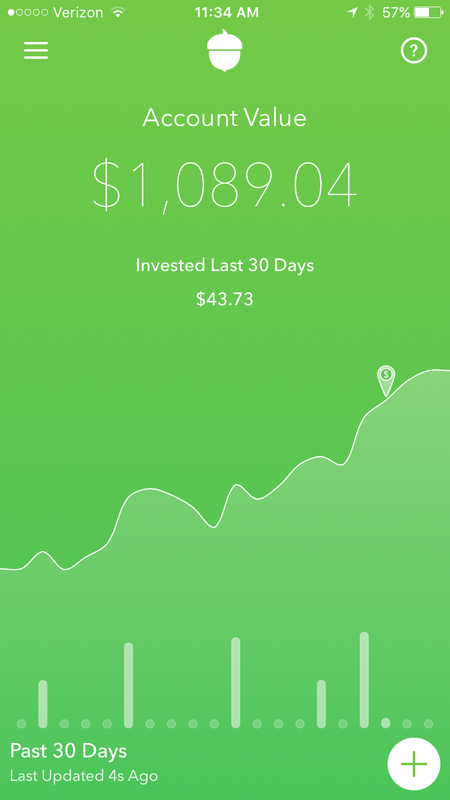 In my first year with Acorns, I essentially broke even, with the gains from investments offsetting the $1 per month fee. I was, however, able to save almost $1,000 without even thinking about it. Check out my full Acorns review or get started today. Digit is another fantastic app for moving money into your savings without thinking about it. It’s perfect for people like me who lack self-discipline and can use a little help with automating their habits. Digit uses an algorithm to predict how much of the money in your checking account you will need to use based on your account history. Then, it takes any additional funds that it doesn’t “think” that you will spend and transfers those funds to your Digit account. It’s amazing how fast your account can grow when you take away all of the money that you don’t truly need to spend. Digit does not invest the money for you, but they do offer periodic bonuses for depositing money with them. Check out an overview of Digit or sign up to receive a Digit deposit bonus. Qapital is takes the savings aspect of Digit and the “round up” methodology of Acorns to create a platform that allows you to save over time for something specific. The goal of Qapital is to allow you to create habits using the app. You can set triggers to save money from your linked accounts that will go toward a specific future purchase. There are pretty much endless possibilities for the rules that you can set, so it gives you slightly more control than you would get with Acorns or Digit. Sign up to receive a $5 bonus with this link. Robinhood is one of the most disruptive applications to the financial industry in recent history. Ever wanted to trade stocks just like you would through a traditional brokerage, only faster, without paying high commission fees for trades? Enter Robinhood. The platform streams real-time data from the stock exchanges and allows you to make trades on securities without paying commission for buying or selling. You can start with very low minimums and have a real-time snapshot of your account at any time through the app. It is a great option for those who want to test the stock market, those who trade frequently, or anyone who is tired of paying $7-12 each time they want to make a trade. Get started today by signing up for Robinhood. Unlike the other services on this list, Openfolio deals purely in information to help make you a smarter investor. The app aggregates your banking and brokerage accounts, tells you your performance over a recent time period (month, year, etc. ), then benchmarks that against other investors to give you a comparison. Built on crowdsourced information, the comparison tool lets you see how you are performing against the average investor, investors like you and other groups. You can even set up Openfolio to share and compare your performance with your friends and family. It integrates with dozens of banks and brokerages to give you a real-time snapshot of the performance across all of your accounts. You can sign up by going to Openfolio.com or finding the app in your app store. Obviously, there are hundreds of other applications out there, but these are the best investing apps that I personally use and find valuable. The key is to find the right mix of what is right for you to help you budget, track, automate, save and grow your money with the best possible return on your time invested. If you have other apps that you would recommend, be sure to leave them in the comments so I and other readers can check them out.